Wild West Endurance Company started from the American dream of running my own business and doing something I love. Horses are my passion and after being a horse owner for over 10 years I realize how hard it can be to find good quality products that fit and last. I love bright colors and you will see many items on my page that come in so many patterns and colors that it can be overwhelming. We formerly were known as Hooves N Whiskers and with the many changes through life we have decided to change the name of the business to reflect what we do. 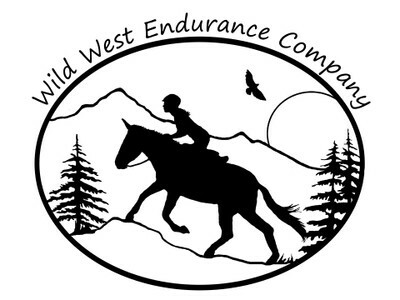 Wild West Endurance Company encompasses the store and the endurance ride we manage. We are currently located in Smartsville CA, an hour north of Sacramento. The support system behind me, Robert Kamberg my wonderful husband, is in the military so we may have several changes of location over the next 10 years. 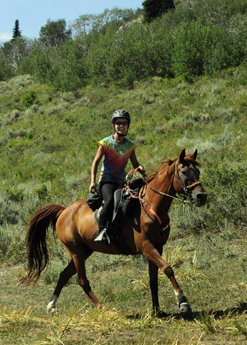 Our mobile tack store currently attends many endurance rides in the West region and occasional rides in other regions. Our internet store is in it's infancy but I am happy to ship products anywhere the mail can go. Photo Credits to Steve Bradley at City of Rocks day 5.